Provide Attendees a More User-Friendly to Search and Access Your Content, Without an Internet Connection. If you are looking to provide attendees with digital conference materials but don’t want to worry about hosting fees or connectivity to the internet, distributing your content on a branded USB or DVD is a great alternative. We do more than simply “dump” your files onto the device. Our solution features the same, searchable, user-friendly interface of our online conference materials, organizing even the most complex program into a logical structure so users can find what they need quickly. Promote your association and future events, or offer sponsorship opportunities on the packaging or device itself. Choose from popular and practical flash drive formats or select something more customized to match the theme of your event. 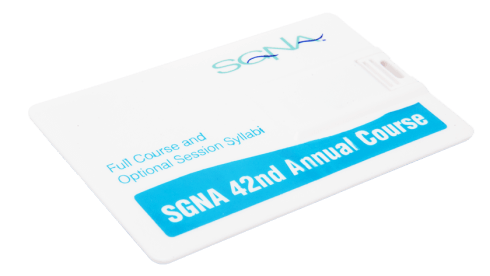 Give attendees digital access to your content year-round with a USB or CD.